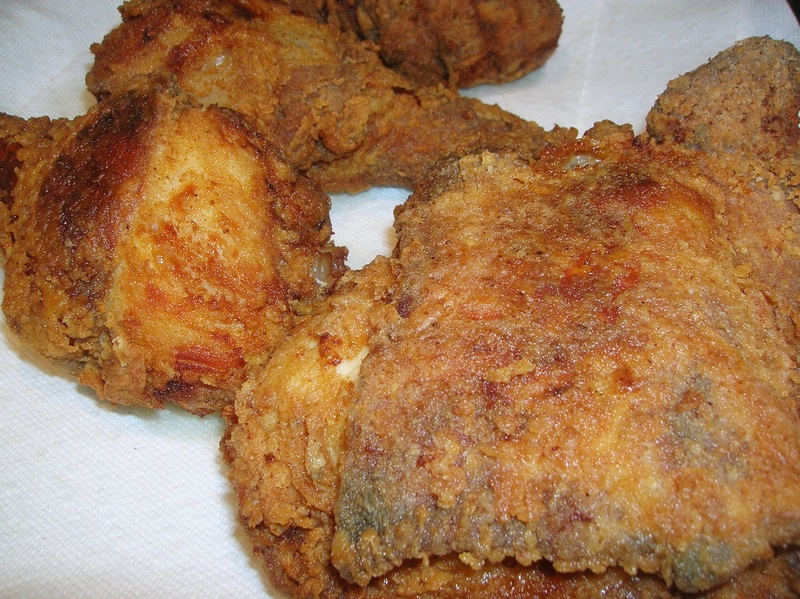 Who doesn’t like fried chicken? Especially done right. I know southerners in the USA claim this as their own. But us southern Italians have just as much a right to fry up some chicken and consider it great “Italian Comfort Food”. So there you are! I know that there is no official Southern Italy Fried Chicken but like most ethnic foods we can take what we want and call it our own. I have to admit that I use some techniques and ingredients they use south of the Mason Dixon line, but this flavorful version is one you can sink your teeth into and still have a large side of tomato salad with garlic and olive oil right along with it. And don’t forget the Italian bread. I think this is some of the most flavorful fried chicken I ever ate. The coating is crisp and flavorful and the chicken is tender and juicy inside. 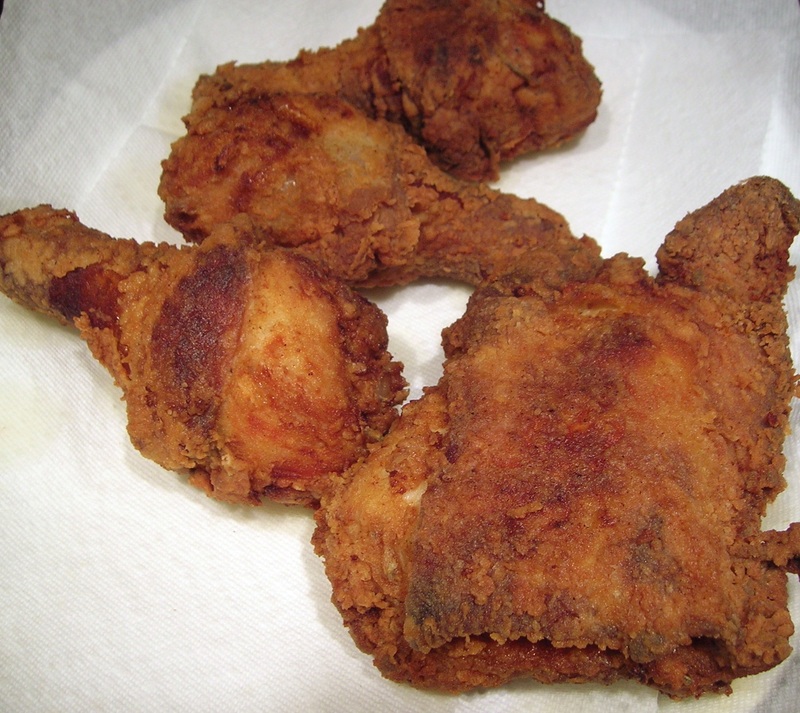 The way fried chicken should be. Hope you enjoy it! Wash and dry your chicken pieces. Combine all the ingredients for the marinade in a large bowl and mix well. 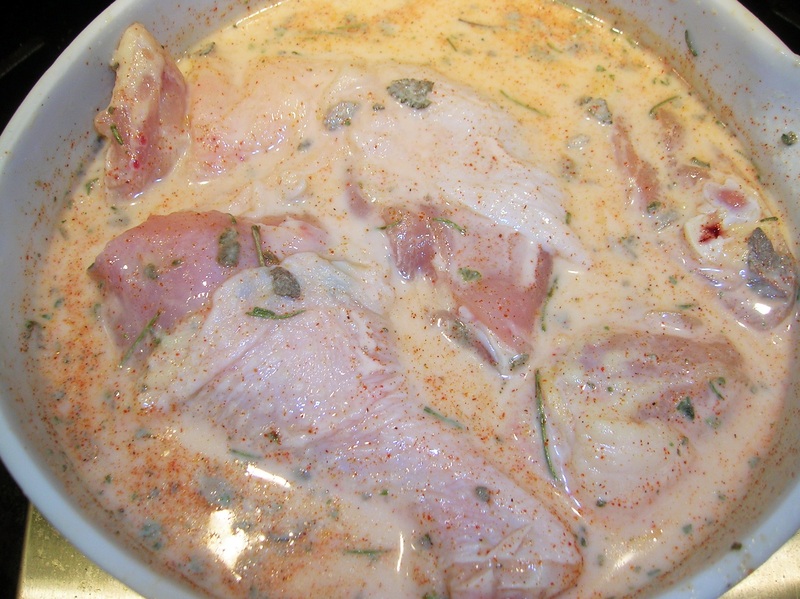 Add the chicken pieces and cover and place in refrigerator for a minimum of 4 hours up to 8 hours. In a large zip lock bag place the ingredients for the coating and mix well. 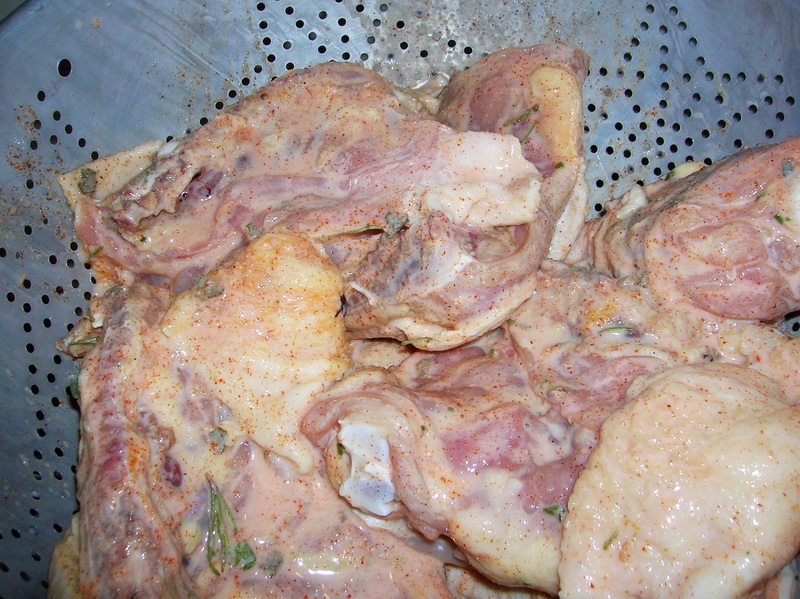 Drain the chicken of the marinade in a colander. Place the chicken in the zip lock bag with the coating, seal the bag and shake it well to coat all the pieces. Remove the pieces from the bag and let sit on a plate till the coating becomes “doughy” and wet, about 10-15 minuets. 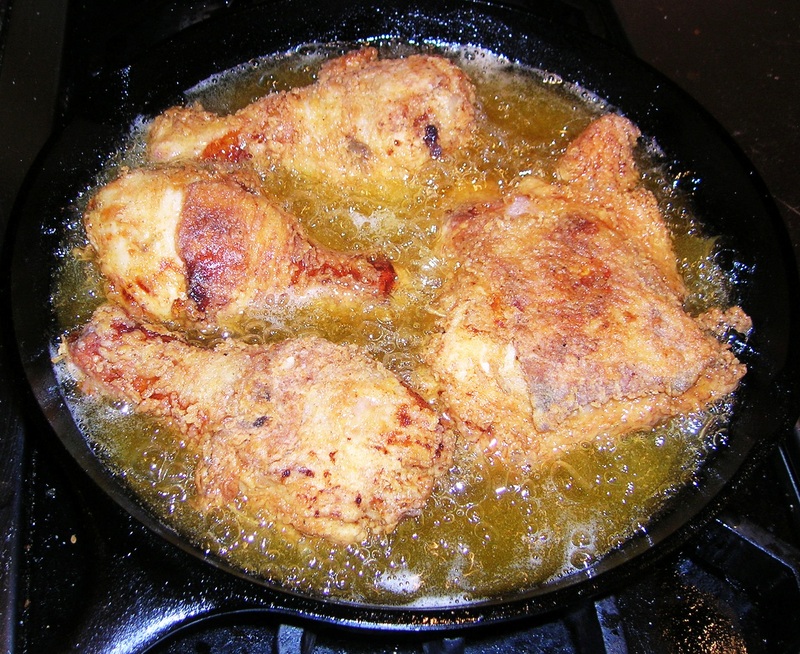 In the meantime fill a cast iron pan or deep fryer with peanut oil or shortening for frying, about halfway up. On medium high heat allow the oil to reach 350 degrees. Place the chicken in the pan and cook about 5 minutes on each side to crisp. Turn the heat down to medium low, cover the pan and cook another 10 minuets on each side. Remove the cover and turn the heat high again to crisp each side of the chicken till they are golden brown. Cook the chicken in batches if you need to. Don’t over crowd the frying pan. Place the cooked chicken on paper towel lined plates to absorb the oil. 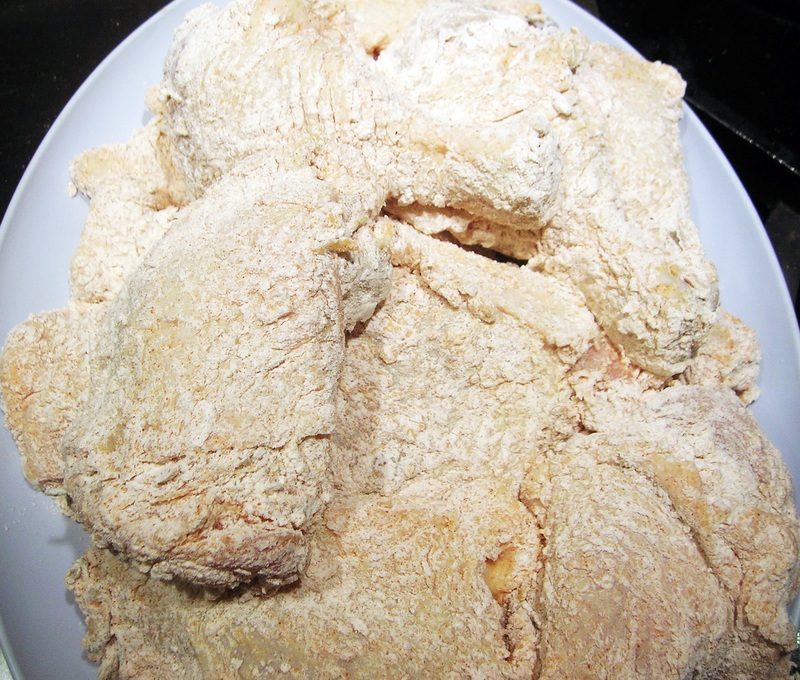 This entry was posted in Chicken and tagged fried chicken, Italian cooking, Italian food, Italian recipes, southern fried chicken, southern Italy fried chicken, traditional italian cooking, traditional italian recipes. Bookmark the permalink. Billie, I probably should put serving sizes as a guide with my recipes, but I find them so bogus. A serving size for me might not be the same size for someone else. You can feed a family of four with a whole chicken, if everyone only eats a quarter of the chicken. But if your family has a larger appetite, and everyone eats a half chicken, then you’ll need two. See what I mean? You should really know who you are cooking for and how much they eat. In my family, one pound of macaroni was good for only two people. Other families might feed four people with a pound of pasta. The other thing about Italian cooking is it’s always better to have more. I always look forward to left overs. But thanks for the comment, it sound like a good suggestion and I’ll keep it in mind. Great recipe . I love garlic and put 4 large slightly crushed cloves . I also loosely cut sage leaves , rub oregano in my palms to crush out flavor . It’s wonderful . My family loves it .